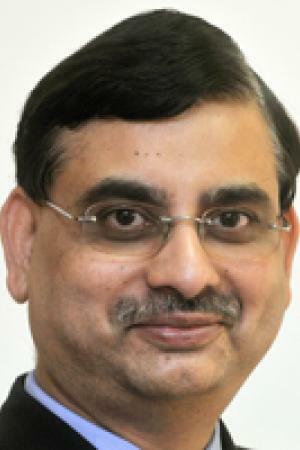 ahorasoyuncronopio: Guest Column: Vijaya Kumar Ivaturi on "Winds of Change in Indian Ecosystem"
Guest Column: Vijaya Kumar Ivaturi on "Winds of Change in Indian Ecosystem"
The innovation landscape in India is changing for the last couple of years, and I am sharing my observations and analysis of these trends both as a practitioner and as an investor in this evolution. I think there are four key changes in the last few years which resulted in the current state, andit is the point of inflection for innovation in India. The first change is the shift in market dynamics, in India.There are original designs meant for Indian markets, which are built grounds up. They are no longer a tweak on an existing design of the developed world but a new India centric design. This is driven by the fact that India is now a significant market for consumption, in addition to, being a leading supplier of talent. The second change is a technology one. In the era of internet platforms like amazon, there are few upfront IT costs to start a venture. With the proliferation of laptops, tablets, mobiles and broadband access, it is quicker for any entrepreneur to get started than in the earlier decades, without any latency for IT setup. The third change is a significant one and a social phenomenon. Start-up career is now an acceptable career choice in India and is not limited to traditional rich or mavericks. This is perhaps the biggest factor for the changing innovation landscape in India. The fourth change is the availability of Angel and venture funds in India. While they were present before, there is an influx of both new funds and mentors who come from business functions of different sectors in Industry and not limited to finance professionals. This results in the financing ability at an early stage of idea and supports it to turn into a scalable business. There are many incubation programmes in the country now for new start-ups, and they offer both patient and smart capital. There are some key features of this new innovation that is taking place in India. I am listing some of the salient features from a start-up sector perspective.  Traction building up for Indian language content.  Social impact funds are gaining traction and are involved in the field. Given the above trends, it is perhaps the best time to create a venture in India, and it is often stated that Bangalore is one of the top five start-up destinations in the world today. As it is true for any ecosystem, there are challenges in Indian ecosystem, as well. There are some key challenges which make the solution engineering remarkably different from those designed for developed markets. • Network access- The data rate is still lower and error prone. • Power - Most of the solutions built for rural assume 15 day powercycle for charging. • Skill sets - Interface design skills are lacking for new product ventures, and complex solutions built on foundation layers are difficult to engineer in India. • Buyers - Buy only when it solves a real and urgent issue for them. • Investor - The scale of investment in Angel funding is still lower than the valley. • Branding - Dependence on big names for global branding. 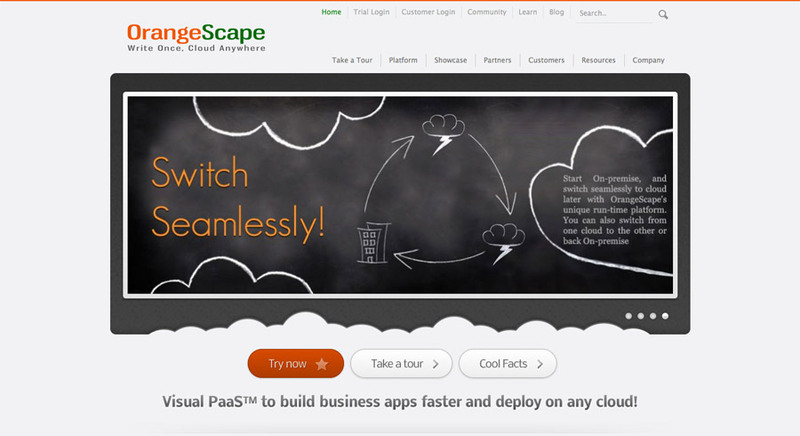 Orangescape is a Chennai based company which offers a cloud based application platform as a service. It is perhaps unusual for an Indian company to offer a cloud based platform where others develop solutions for different segments. India is often seen as a country, which builds solutions on platforms from developed world. Another example is an Indian product called Rural ERP, which offers ERP solutions in SaaS model, and supports more than six Indian languages. This shows that there is a market for non-English interfaces in India and challenges the correlation between IT usage and English speaking users. There is a Mumbai based company called Bird Eye Systems, and they offer traffic solutions in different cities. 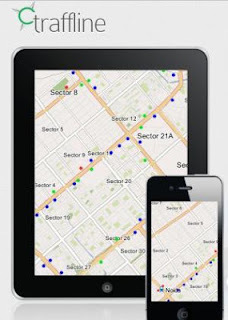 The unique feature here is that they depend on other sources like cab companies for primary data while they compute the traffic patterns and arrival times in a city. These examples show that Indian start-up’s have evolved in concept, content and business models and balance the needs of Bharat with the aspirations of Indian metro consumer. While it is good to follow some Indian success stories like the above, It is worthwhile to pay attention to where we differ from developed market systems, and this drives many of our local design choices. • Lack of sectoral depth in the market as the top 2 or 3 companies in a sector dominate the field and the quality of the business in terms of revenue quality, governance and product offering drops dramatically beyond the key players. • Bias towards size or volume as we are primarily a scale driven economy where being big is more valuable than being better. • Functional view rather than performance view is our pre dominant mind set, and we pay more for features than for performance. • Under developed in refinement and advancement, in choice and taste. As utility dominates our thinking preference, our tastes are not well developed for non-functional aspects of the system. • Community based conformance in business and social practices. Social practice driven by local community has got unusually strong influence in our business methods. • Trust in person is more important than trust in the system. This is a unique feature of any developing market where system level trust is absent or minimal. • Living with chaos and vagueness every-day.The life in personal space is full of chaos while the life at work life is more defined. This paradox is amusing for any visitor in India. You may write kernel software in your work place, but you will still run for water tanker or cooking oil at home. In other words, basic living consumes a lot of time. • We are more duty based society than rights based society, and this drives a lot of our work life balance decisions. There are many other shifts in the ecosystem today, and one of them is the emergence of social science as a critical input to design many of the next generation solutions using technology. This is the move towards crossdiscipline opportunities which is driving unique and engaging collaborations across sectors, regions and subjects. I will elaborate more about this in my next blog, but it is sufficient to say that our formal learning systems have got a lot to catch up on this front.